Walsall Academy is a Learning Away Champion School. In this case study Jon Clarke, the Shadow Headteacher describes how the school has created a whole school culture to enable students to have a range of progressive brilliant residential experiences. The Academy’s programme is designed to develop community cohesion, reflection, social service and allow the students to have progression in the challenge and complexity of their experiences. The impact of the variety of courses on offer to the students can be measured not only in terms of experience and social impact, but also academic attainment and engagement in learning processes. Walsall Academy opened its doors as one of the first Academies in 2003. It serves the area of Bloxwich North, Walsall in the West Midlands. The area is a zone of multiple deprivation and was a designated ‘New Deal’ area. The Academy opened on the site of a school named as one of the worst in the country with low aspiration. It is now a success story of academic achievement and Ofsted have graded it outstanding for its care and support of students. The school roll is 1,200 with an all ability intake at Year 7 and a thriving sixth form. The school is heavily oversubscribed in an area which has Grammar Schools. Visitors including inspection teams comment on how happy students are at the Academy. There are some differences in the way in which the Academy works with lesson of 2.5 hours, a longer day allowing for enrichment activities and all the students and staff use the same venue at the heart of the Academy for breaks. The calendar at Walsall Academy is busy like all schools, but a very distinctive feature is that every day students are out of the classroom learning in different environments from art galleries to waterfalls and car manufacturing plants. 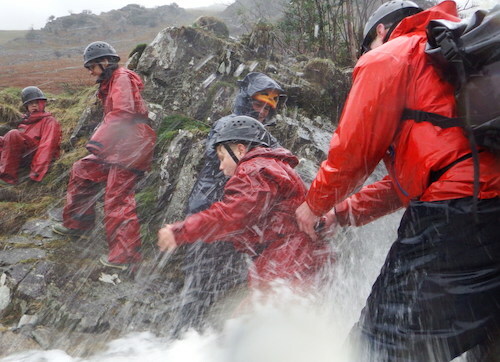 The adventure for the students begins in Year 7 with an induction course at the Outward Bound Trust, and through fundraising there is no barrier to any student taking part. This course is the catalyst for learning. The Academy’s assessment procedure gives time for the students to reflect and set targets every half term . This is a skill demonstrated practically whilst away using Kolb’s Experiential Learning Cycle as a basis. All 208 of the students in Year 7 go through this learning experience and use it throughout their school life, and hopefully beyond. As students progress through the school they may choose to attend further Outward Bound courses, refining their skills and taking more challenging tasks. Some students undertake courses designed to raise participation in education and raise aspiration. Other students attend courses designed to learn about sustainability, which involves projects being undertaken in the Academy over an extended period of time. Every time a residential takes place no matter where it goes, the students are filmed and interviewed. These are edited and then shared with the whole Academy on the weekly broadcast. This develops a great sense of community and sharing of experiences, with the older students coaching the younger ones as they embark on a residential course. The first step was to create a course that is fully inclusive for Year 7 students and to set the expectation that they all take part. From this start point they then undertake different pathways, with some students choosing not to follow the outdoor activities pathway, but more the study skills in languages tours and battlefield tours. As the students get older they have the opportunity to travel further with greater in-depth studies and spend longer periods of time away. 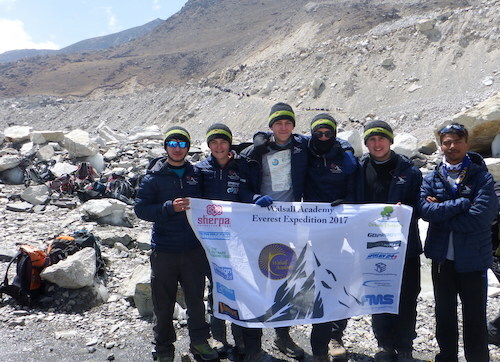 The Academy has developed a culture of expeditions, where a community project is an important part, for example on recent expeditions to Ethiopia and Nepal. It becomes increasingly important as the students progress to give them more ownership of the course from planning and leading expeditions to designing experiences on a study tour to the Large Hadron Collider at Cern or to Poland. Every year as we stand on a beach at Aberdovey, many Year 7 students tell us that this is the first time they have been to the beach and stepped in the sea. For other students it will be camping on a mountainside or buying their lunch in a French market using their language skills. Not all of the students will progress to working on projects in the Bale Mountains of Ethiopia planting trees and tracking rare wolves, but all students will have had the opportunity to discover new places and have amazing collective experiences with their peers. Are your residentials inclusive and affordable for all your pupils? How do you ensure this happens? The Academy bids for funding on an annual basis for those parents who find it difficult to contribute towards the costs of visits. No student is ever disadvantaged due to their parent’s financial circumstances. Pupil premium funding is used to support students in the lower school and bursary funding in the sixth form. The Governing Board keep a close eye on the costs of visits and costs are kept low by price matching and shopping around with tour companies. The Academy is very fortunate to have funding support from The Outward Bound Trust and corporate sponsorship for some of the residential experiences. This also supports the students in their learning, when they see a real world application of the skills from corporate mentors. A member of the Senior Leadership Team is responsible for all learning outside of the classroom and takes an active part in residential courses. The Headteacher leads one of the residential courses and several other members of the SLT take part or lead courses throughout the year. All of the courses are planned to meet specific learning objectives, from social skills development to raising attainment of boys at key stage 4. We do not have ‘jollies’ or holidays, but cherish the fact that for some students the major part of learning when away is to learn how to make a bed or develop a positive relationship with their peers. We have over the years refined the programme so that courses are designed to meet development plan targets and therefore the learning needs of our students. How are your residentials led by teachers and, where appropriate, students? Residential courses are always developed in conjunction with members of the SLT. All courses are passed by the SLT and then planned managed by the line manager or member of the SLT. Once a course is planned however, ownership and leadership may be passed to the students. For example the expeditions go through a phase of itinerary development where the students design their schedule and projects and experiences that they wish to undertake. They then share the leadership of the expedition, developing their skill set and learning through reflective practice. How do you involve your pupils in planning your residentials? With some of the residential courses the students develop the itinerary and schedule, for example the Mid Counties Cooperative Green Pioneers course, where the students design a low carbon footprint three day residential course in Snowdonia. On expeditions the team will spend a great deal of time planning their expedition and talking through as a group what they hope to achieve. On shorter courses a small group of students will be consulted of the programme and asked for their views which then feed into the planning process. How are your residentials designed to allow pupils to develop collaborative relationships with peers and staff? We believe relationships are key to the success of the Academy and are the developed greatly on residential courses. The shared experience of climbing a mountain together or paddling down an estuary forges extremely positive relationships. Students reflect on when they were supported by their peers, but also by their teachers who travel with them. The sense of community and collaboration starts on the Year 7 induction course, then develops on all of the courses that the students take part in. A key feature on the Years 8 and 9 Outward Bound courses is the expedition, where the students and staff camp out for one or two nights. The staff are with the students 24 hours a day and this develops amazing positive relationship and many staff describe it as a highlight of their year. A report is submitted to the Governing board on the learning outside the Classroom activities for the term and then as an in-depth annual report. Funded research is currently underway for the boy’s intervention course. All residential courses complete an evaluation form which is submitted to the Senior Leadership Team. The evaluation directly addresses the impact of the course related to its learning objectives and how the experience may be improved in future. On the Year 7 course a report on every student is completed and fed back to their personal tutor and year team. As the courses are focused on skills development, the students are expected to have developed their learning on the residential course then embed that on their return and develop it further. With the Green Pioneers course, the residential component is just the catalyst for the learning that then takes place back in the Academy, with legacy projects completed by the students over a period of several months at the Academy before they graduate from the course. In July 2016, 14 students and two members of staff travelled to the Bale Mountains in the Oromo region of Ethiopia. 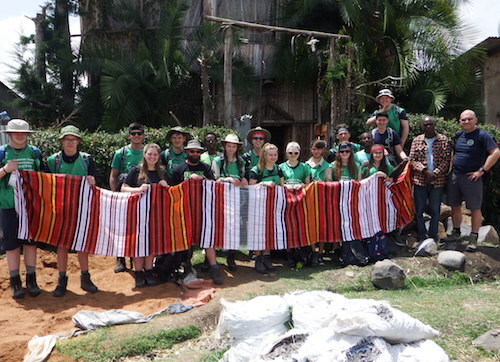 This life changing adventure for the students allowed them to work alongside local villagers on a community project, contribute to re-forestation and develop greater links with a project visited two years ago by other Walsall Academy students. The students lived in the local village completing these projects and then travelled high up into the Bale Mountains to discover more about this beautiful country. They looked for Ethiopian wolves and niala and spent evenings under the starlit African skies, listening out for the chatter of baboons, the howls of hyena and the roar of distant lions. 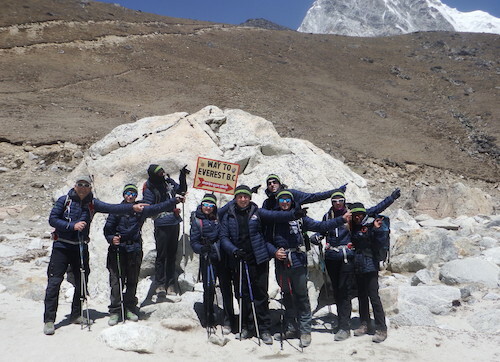 The students had spent the previous 18 months fundraising to gain their place on the expedition and were fortunate to gain support from the Mid Counties Cooperative and The Outward Bound Trust. The students completed training weekends in Wales and could be seen training in the local area carrying their pack preparing for the expedition.